4 July, Miao: A team of 22 youth from Changlang district of Arunachal Pradesh, studying in different colleges across North East India, have discovered a unique way to fight drug abuse in the State. 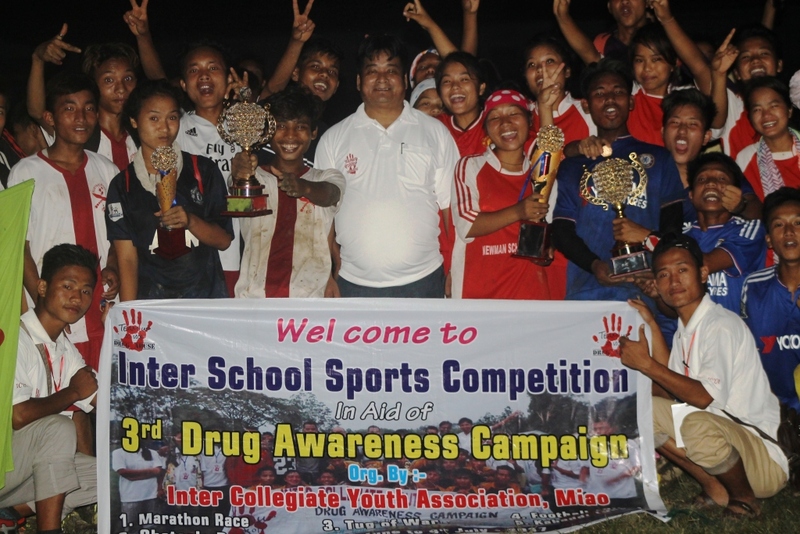 Studying in seven colleges across the North East India, the team of young boys and girls has come together as Inter Collegiate Youth Association (ICYA) of Miao to fight drug abuse in Changlang district and spread awareness across the State with inter-school sports and literary competitions and awareness campaigns. Young boys and girls like us do not get a platform to express ourselves and our desire to get social attention lead us to pick up harmful habits, including drugs, explained Gini Kenly, the President of ICYA. Our motive is to catch them young and keep them busy. Gathering the students from almost every High Schools in Kharsang, Namphai and Miao blocks of the district, we are not only keeping them busy but also give a platform to express themselves and give them a sense of achievement, he said. The interschool sports and literary competitions found good response from all the schools. Football for boys and girls, tug-of-war, obstacle race, badminton, singing and drawing are a few of the host of competitions spread over a period of two weeks. The Newman School Neotan won the football championship for both boys and girls category. 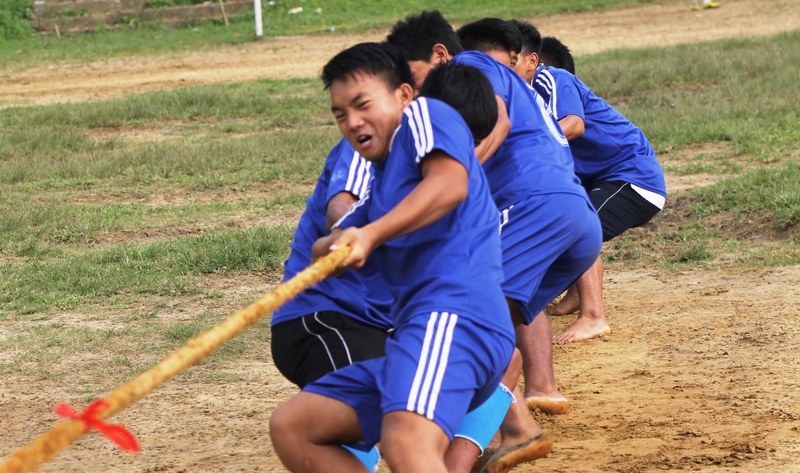 The Light of the World School, Miao won the tug-of-war championship. Prior to the competitions the ICYA visited all the schools in the blocks to conduct awareness programme on the evil effects of drug addiction and how not to be its victim. The ICYA is not for promoting ourselves but to fight drug abuse in the State. Once we have achieved our goal in Changlang district, we will take this initiative to other districts, says Ahuntang Tikhak, the General Secretary of the association. In the wake of growing number of drug addicts in the eastern part of Arunachal Pradesh, especially in Tirap, Changlang and Longding districts, the ICYA is a refreshing change. If you are able to change even just one boy, that is your success, said Fr. Felix, the Youth Director of Miao Diocese, speaking to the ICYA. It is more about stopping the next generation of youth from indulging in drug abuse, he added.